“Deny everything,” British traitor Kim Philby said as a way for the powerful can bluff past their crimes, something George H.W. Bush knew when he denied charges of his own near treason in the October Surprise case, wrote Robert Parry on 4/6/2016. 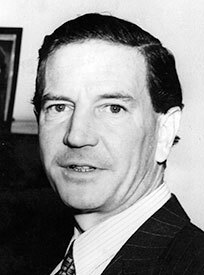 British double-agent Philby, who spied for the Soviet Union and fled to Moscow in 1961. 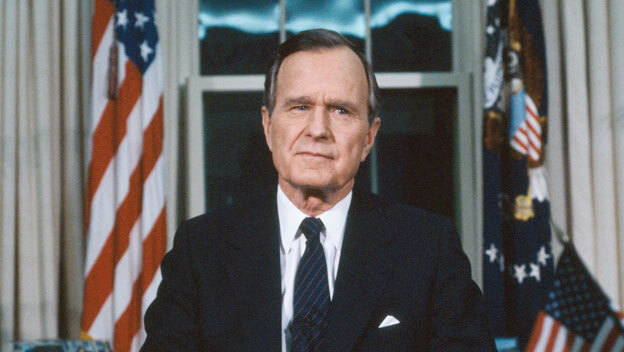 President George H. W. Bush addresses the nation on Jan. 16,1991, to discuss the launch of Operation Desert Storm. 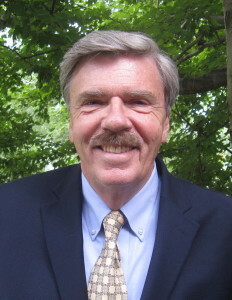 The late investigative reporter Robert Parry, the founding editor of Consortium News, broke many of the Iran-Contra stories for The Associated Press and Newsweek in the 1980s. 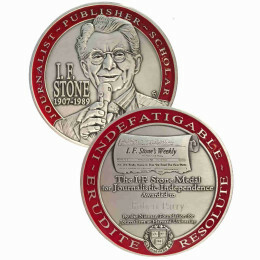 His last book, America’s Stolen Narrative, can be obtained in print here or as an e-book (from Amazon and barnesandnoble.com). Please visit our Facebook page where you can join the conversation by commenting on our articles to help defeat Facebook censorship. While you are there please like and follow us, and share this piece! Robert Perry R.I.P. Sorry to hear about his death. Just read your article about Bush 41 October Surprise. How much did Reagan know what Bush did before the taking office? How much of the Iran Contra plan was Reagan’s idea versus Bush. What is interesting is that Kissinger has, in some way, been an aide to every president from Eisenhower through Clinton. Sadly it is a forgone conclusion that anyone who has made it to the presidency has additionally become morally and ethically bankrupt. The level of skullduggery required to slither through the machinations of the swamp bares witness to the fact that anyone with a sense of honesty would find a better way to make a living,and for those who claim some higher calling are committing the worst type of heresy. Why not I wonder, dying may remove the possibility of punishment but it hardly erases the consequences of previous actions. Well done Consortium News. the living relatives and friends of 500,000 ghosts salute you. Dying is certainly no guarantee that you have missed paying for your actions, in fact this is the time you will be held accountable,in fact for all of us. But whether it’s going to be a time of rewards or penalties is for only One to judge. 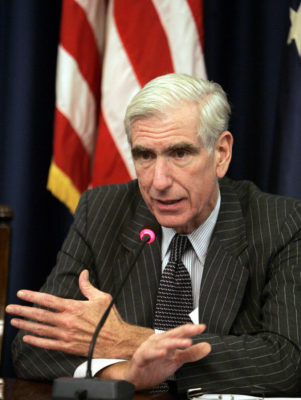 What about JFK’s assassination, the drugs shipped in body bags Iran/Contra debacle, etc. Talk about Teflon Willie….. 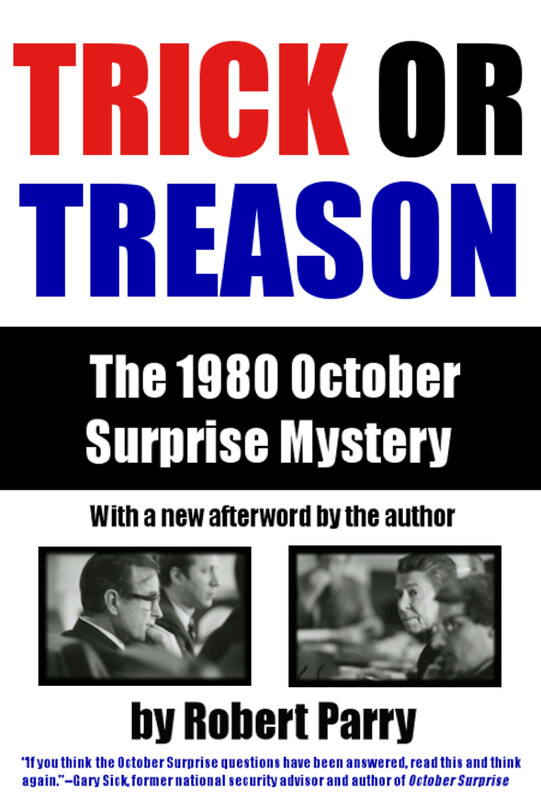 The October Surprise and resulting fraudulent victory by Reagan and Bush was the beginning of an era in US politics of the spoiling of any pretence to democracy by the Republicans. The 84 & 88 elections were arguably fair (Willie Horton racist programmming makes the latter debatable) but the 2000 election, the 2004 election, and the 2016 election all saw Republican presidents win with a popular vote minority and/or rigged results (the theft from Kerry was noted by Parry and has been highlighted by Abby Martin among others). The Republicans have been unable or unwilling to win elections leigimately even within the corrupt and fake US political system. At the same time they have packed the courts with corporatist judges and intensified gerrymandering. The Democrats arguably play an even more insidious role by co-opting any and all left-wing movements and moving to extreme neoliberalism under the Clintons, but the Republicans are still dregs by the standards of basic political democracy. 1980 also marked the beginning of a 24 year period where a Bush was on every US presidential ticket except one (96), entrenching the oligarchic crime family. good analysis. fitting reading for our national day of mourning this wednesday. lee hamilton has made quite a career of being an investigator not being informed by the government he continued to believe would freely offer the evidence to convict it of the highest of crimes. a perfect man for the 9-11 commission. p.s. some consolation in this line: But 1991 was pre-Internet, so it was next to impossible to counter the false reporting of Newsweek and The New Republic, especially given the powerful conventional wisdom that had taken shape against the October Surprise story. One less evil man in the world. How many more to go? Too many. … They also failed to interview key participants at the conference, including historian Robert Dallek who had looked for Casey and confirmed to me that Casey had skipped the key morning session on July 28, 1980…. Just as today, without one article from the media asking why, Mueller (or anyone in the media) has had not a single interview with Craig Murray, the Brit who received the Clinton Podesta emails..and we all know why he wont be interviewed. With the passing of Bush 41, a lot of murderous secrets went with him, too the silence of the grave?? Everything from the Kennedy assasination to the Iran, Hostage release scheming, to the meddling by Reagan & Bush in Central America with the Iran Contra travesty, the list is a testament to the immorality & illegality of the US Empire! And let’s not forget the US shooting down a Iranian airliner in 1988, I think, resulting in the deaths of 200 people with 60 of those children & Bush 41’s sickening speech to defend this mass murder by stating that he would defend Americans right to do “whatever it wants” as a warped justification for this & every other immoral action the Empire makes? Bush was implying that America sets the “reality” according to its own rules & to hell with others take on it? That flawed logic & arrogance continues today just as in Bush 41’s day! The ridiculous & predictable eulogising of Bush 41, after his death, by the US Elite Political Establishment & MSM follows the same sickening pattern when McCain passed away? When these men get to stand before the ultimate Judge in Heaven & when all their murderous deeds are made manifest & exposed to the true light of justice in which nothing can be hidden, how will these US Presidents such as Nixon, LBJ, Reagan, Bush 41 & others fare? My guess is their judgement will be swift & they will pay a price for every life that they have taken! i’d just as soon have a little of that in the here and now. south africa had truth commissions and the u.s. needs them badly. perhaps the democrats will have to impeach trump for midterm exam and crossfire hurricane to get litigated. kind of a silver lining in the last election’s results. All the usual suspects, including Cheney, are filling the airwaves with the highest praise of a lifetime of civic minded duty, keeping the fiction alive……. Not a one seems to be inquiring into the toll this treachery took on the people of Iran in the ’60’s and here at home over the decades that followed – lies and distortions repeated ad nauseam to help promote our painful and costly wars in the region. Arlington Cemetery tells the tale. this comment in reply to Sally Snyder’s article about the Iranian coup. And how the agenda of the elite (expert in hiding these evil deeds) do not serve the best interests of the majority of people in this country. 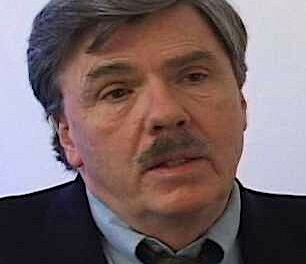 Robert Parry – a man of great courage dedicated to truth. Yes, Robert Parry, and with that, they helped cement our current divide between the Beltway Power, and The People. It was poison to Democracy then and still is now. Robert Parry’s outrage never subsided, he was compelled to get the Story Right, and rightly so because Treason is the crime and it cannot be ignored. I popped into an awful website (where there’s still a fair bit of activity among the readers who don’t get censored) called The Conversation and there was another fluff piece extolling the virtues of the very nice George H.W. Bush. 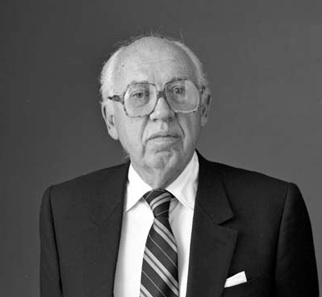 Author Gina Yannitell Reinhardt says that there were no scandals during his time in office. I responded with “Incorrect” and a link to this article. Let’s see whether my comment is disappeared. Iran has a long and recent history of being on the receiving end of Washington’s plans for the Middle East which, in Iran’s case, have led to a decades-long series of unintended consequences. Clearly, to a large extent, the MSM has failed the American people. Exactly, Jeff. They bought the kool-ade and now they are selling it.